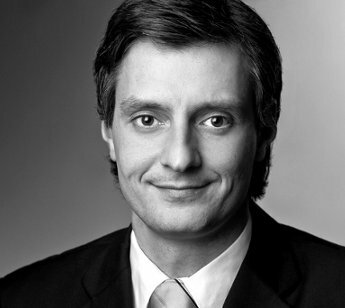 Welcome to the law office Mario Dujmovic in Cologne. The law firm is active nationwide in the field of criminal law and business criminal law and thus offers law-seeking private clients and companies specific legal advice and involvement in all legal issues in criminal law, and business criminal law. The focus is on individual defense as well as the advice and representation of companies and their bodies. Many years of legal practice in criminal law and business criminal law in the context of nationwide criminal defense includes not only the defense in all stages of the criminal proceedings but also the preventive counseling. In addition to general criminal law and administrative offenses, the range of activities includes cybercrime and narcotics criminal law. The main focus of business criminal law is on assets criminal law, corruption criminal law, insolvency criminal law and competition criminal law, patent criminal law and trademark criminal law. The requirements are complex. The burdens of a preliminary investigation are enormous. The legal advice consists of the competencies and the experience gained from experience for your requirements. The beginning is the advice. In all legal questions you will be accompanied and represented. Preventive counseling can identify and avoid criminal law risks. Opposite the investigative authorities is used consistently for your rights. During the trial you will be defended competently and committed. Witnesses in criminal proceedings can, if they so wish, be assured of their rights of assistance, and Victims will be represented as co-plaintiffs. In criminal prosecution, it is of paramount importance for the accused in the prosecution's preliminary proceedings with regard to an overpowering state power to make use of a professional lawyer's assistance and thus of a consistent defense as early as possible. Because the burdens for the accused by such a preliminary investigation are enormous. With regard to a possible indictment and the possible subsequent trial and trial, this is even more so. Lawyer Mario Dujmovic is a national defense lawyer in all areas of criminal law and commercial criminal law including ancillary criminal law such as cybercrime, competition criminal law and narcotics criminal act. This applies at any stage of the procedure, that is to say in the preliminary investigation, in the case of an indictment already raised, after a penalty order already issued or in appeal proceedings. In the case of impending preliminary proceedings or criminal proceedings, early constructive intervention to prevent criminal risks may be important.